Opportunity Green 2011 Highlight Reel from Opportunity Green on Vimeo. Among this years speakers and attendees were Be Green CEO Ron Blitzer, who spoke on a panel about the sustainable packaging industry/market and what it means to be a triple bottom line company in todays marketplace. 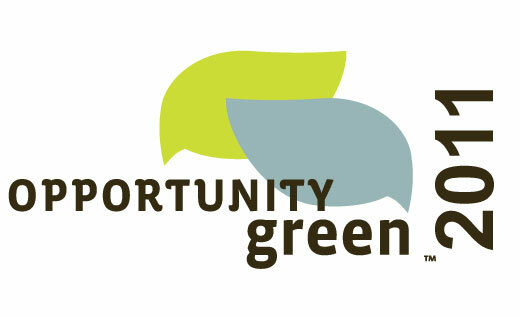 Opportunity Green is an annual gathering of visionaries, inventors, industry leaders, and professionals from a wide variety of fields who share a common goal of bettering the planet through an innovative approach to business centered around the triple bottom line philosophy. The triple bottom line philosophy is a method of measuring organizational success that places social and environmental responsibility on par with profitability. Opportunity Green inspires a collaborative culture of new thinking and unconventional ideas that pushes change in unexpected ways. We’re not about business as usual. We facilitate the movement to transform business for good, through advancing change and market transformation by providing open-minded professionals unprecedented approaches to sustainability that are bankable and exciting. In everything we do, we seek to balance the triple bottom line: people, planet and profit. Our purpose is to fill your head with knowledge you can use: ideas, new trends, amazing ingenuity. We seek to create forums diverse in content that generate dialogue and create valuable connections between individuals. This revolves around helping transform business as usual by partnering with extraordinary visionaries, forward thinkers, creative industry leaders and companies committed to building profitable + sustainable enterprises while solving some of the world’s toughest problems. We believe in collaboration with individuals and organizations that look to push the envelope by creating a mutually supportive community that is invested in the future of our society and acts as a catalyst for positive change. Be Green CEO Ron Blitzer has been asked to speak on a panel at this years event, which will be held on November 10-11th, 2011 at Los Angeles Center Studios. Ron Blitzer (CEO/Co Founder) of Be Green Packaging LLC. Be Green Packaging,) designs, manufacturers, and distributes Cradle-to-Cradle™ certified, tree-free, compostable packaging for both the food and industrial/retail packaging industries. Blitzer has been in the packaging, beverage, retail food, and distribution business since 1982. A serial entrepreneur Blitzer founded American Softserve Systems Inc., which manufactured and distributed softserve ice creams and yogurts under license to ARCO am/pm Mini Markets. In the mid 1990’s he started a chain of organic juice and smoothie bars in San Francisco called Re Juice A Nation. He was a co-founder of Bank of Santa Barbara in 2007. He is a trustee of National Jewish Hospital in Denver and was appointed by President George HW Bush to a select committee for White House Fellows in 1991. Mr. Blitzer has a BA from UCLA and a MBA from the University of New Haven. Blitzer lives in Santa Barbara with his wife of 28 years and their only child studies music at the California Institute of the Arts. Be Green Packaging is currently building the nations first plant fiber mold and pulping operation in Ridgeland SC. In August of 2011 Be Green Packaging was honored with a Diamond Award for Packaging by DuPont for their work with Gillette on their Fusion Proglide package. In October P&G awarded the company with their “Changing Lives-Touching Lives” award recognizing the companies values and community relationships.